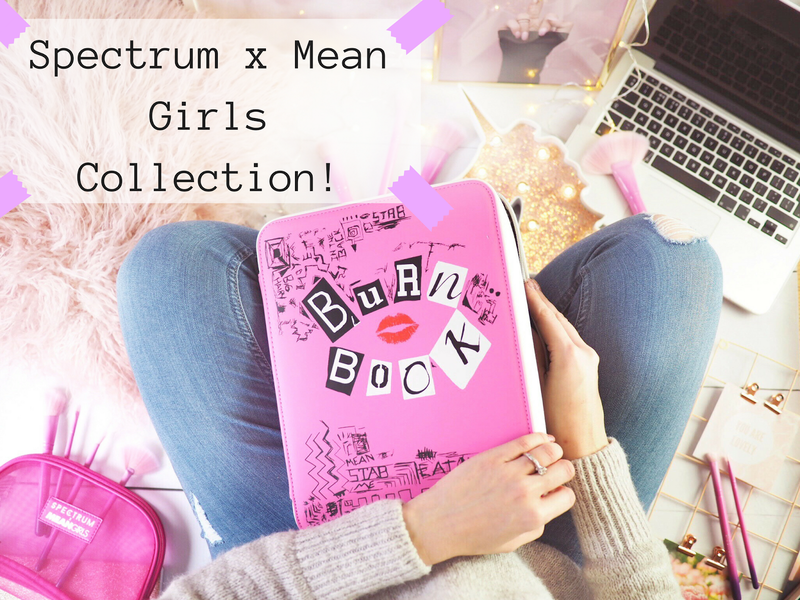 Last year when Spectrum casually strutted their stuff and dropped their Spectrum x Mean Girls collab – well, it made waves. 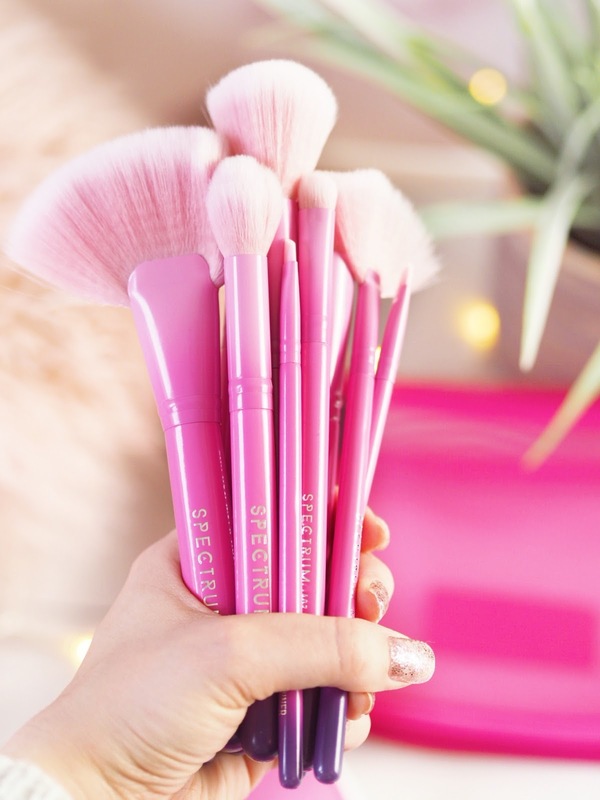 Suddenly every girl who had ever watched Mean Girls, was re watching it, getting excited and desperate for the must-have brushes. A new wave of Mean Girl lovers rose up, and personally I’ve watched Mean Girls more in the last three months than I have in the last three years – thanks to Spectrum for relighting that fire. But really, what does anyone expect from a brand like Spectrum? Nailing the cute brush sets, high quality is their game and iconic colours and designs too. If someone’s using Spectrum, you’ll know it immediately because everyone does – they’re so well known that you can spot them a mile off. And the same goes for the Spectrum x Mean Girls range. Iconic, fabulous and fun. 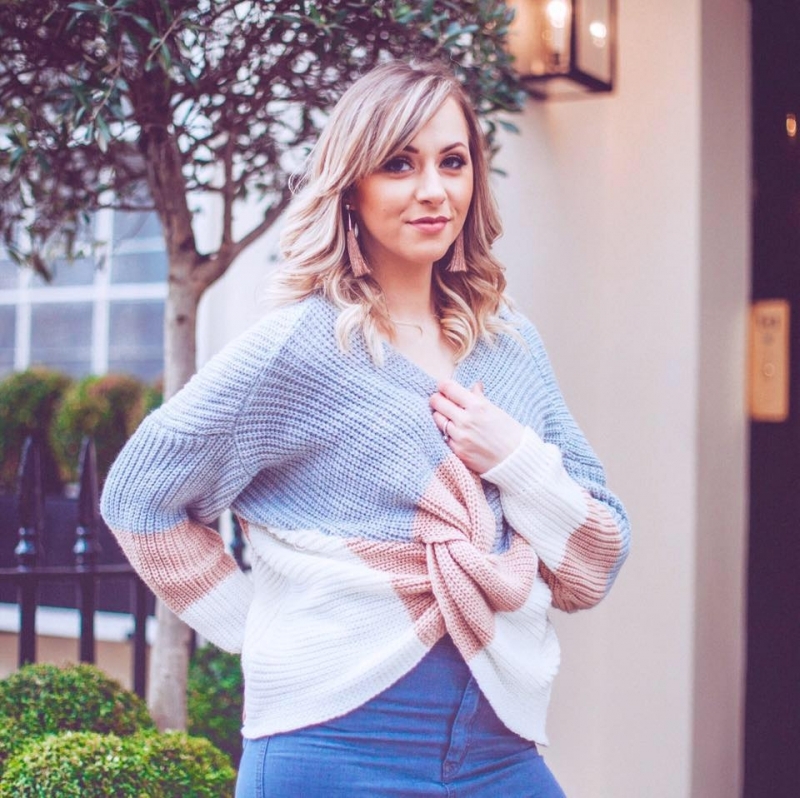 Everything we know and love about the brand. Included in the collection are some serious goodies that will have you drooling. 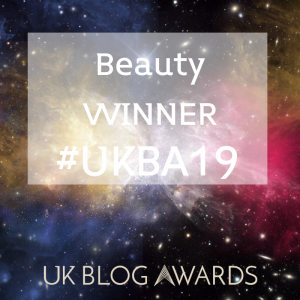 There’s lashes, storage holders and bags – as well as the brushes themselves, so it’s something new and exciting from Spectrum….Not to mention the actual Burn Book. The ACTUAL Burn Book. So what do you NEED from the collection? 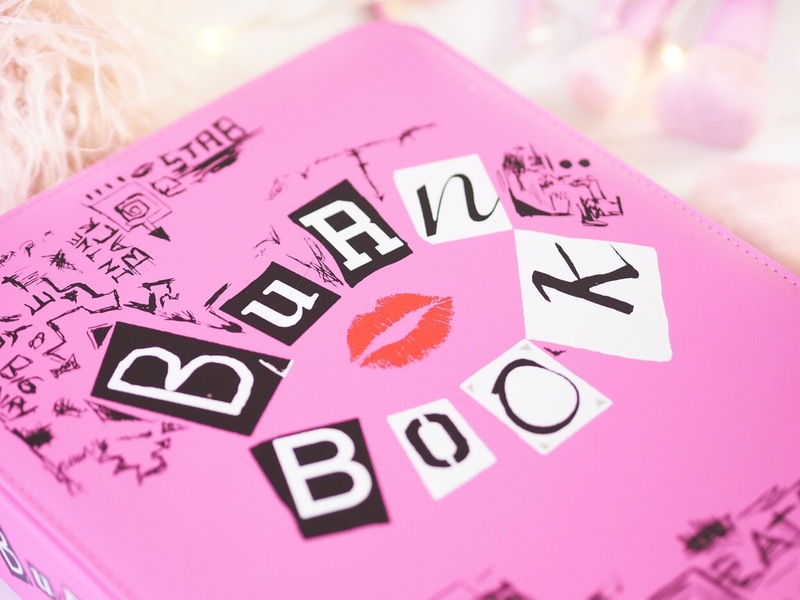 Well aside from picking everything in the range up, you will need the Burn Book obviously. 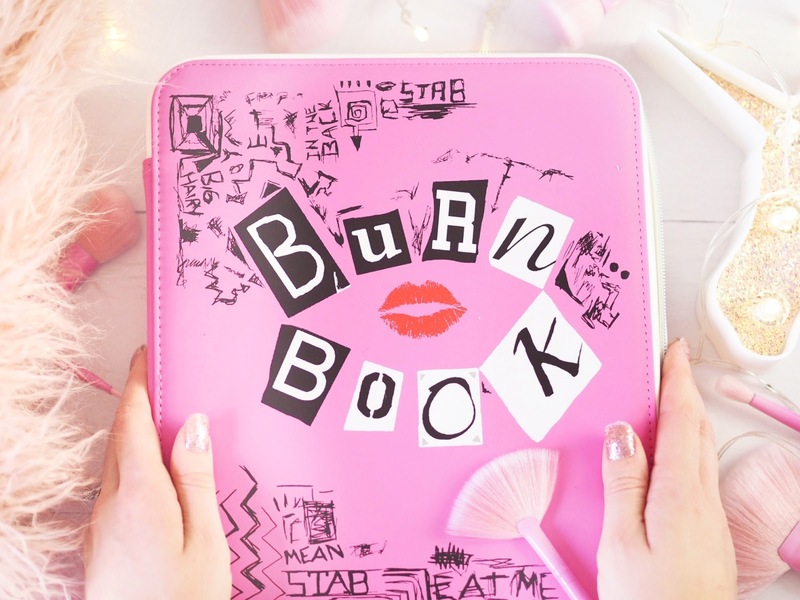 Because what kind of Mean Girl doesn’t have her own Burn Book, right? 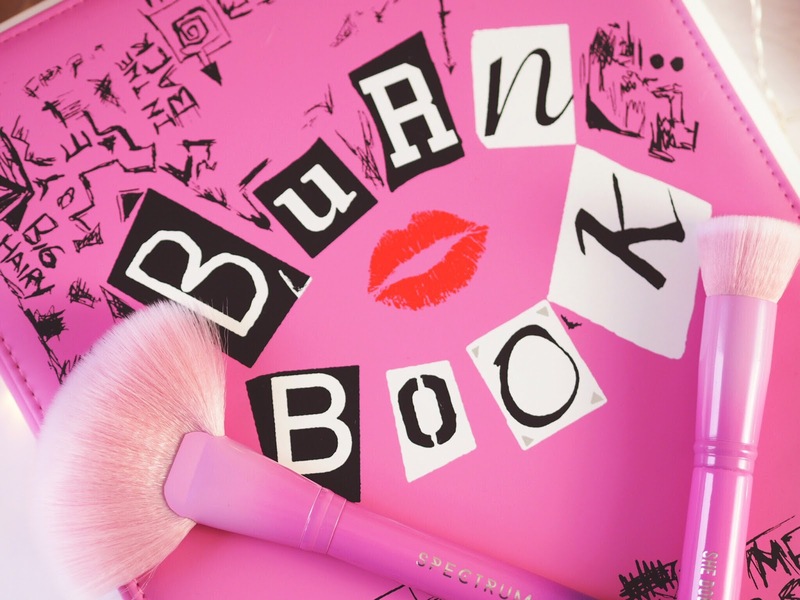 There’s two options, a smaller version with a brush set, or the full size Burn Book. Personally I think the bigger the better, right?! 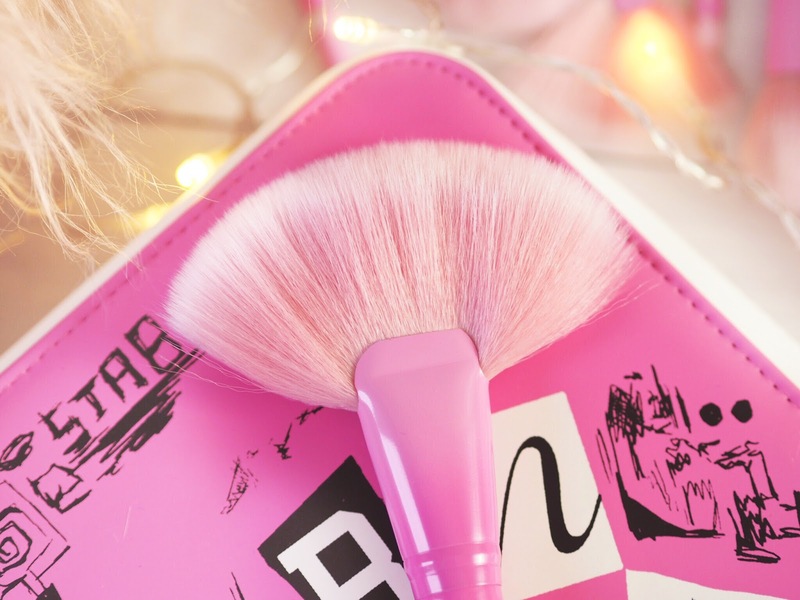 With space for 40 make-up brushes, the holder itself is in the style of a book, so it’s going to make you feel like a make-up artist and pro. It’s got a cute zip with matching key chain and it just looks so fetch. After this, naturally, you need the brushes. All of them. There’s some cute smaller sets, but if you’re going full-on Mean Girl, treat yo’self to the full set. The ten piece set costs £49.99 so roughly £5 per brush – which for a Spectrum brush is amazing. To make them original, each brush has a quote from the film on it, so it’s a constant reminder to beat those Mean Girls in your daily life. Plus there’s a good range of brushes covering face and eyes too. Brush set includes; A01, A05, A07, A10, A16, A17, A21, B01, B06, C01. 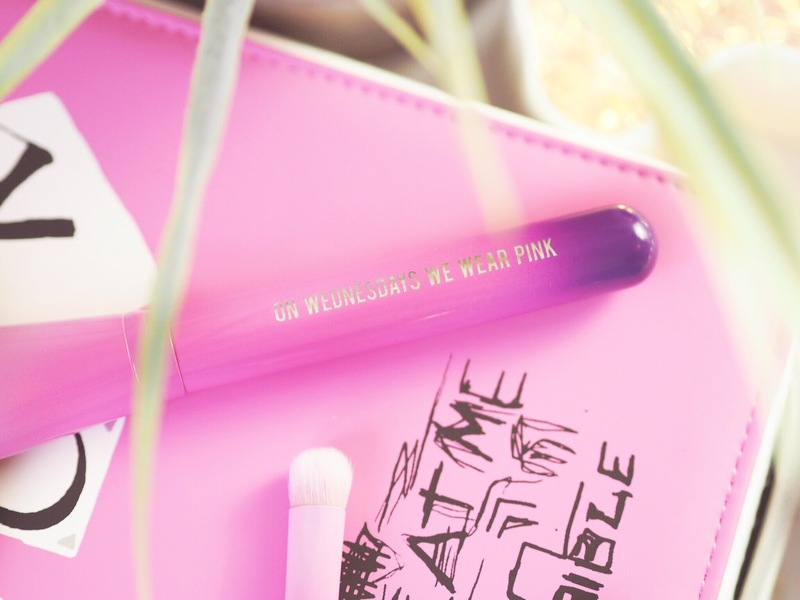 With these brushes you can get your all-over make up done without needing any other brushes, so not only are they pink, totally Mean Girls and fetch, but they’re also practical. 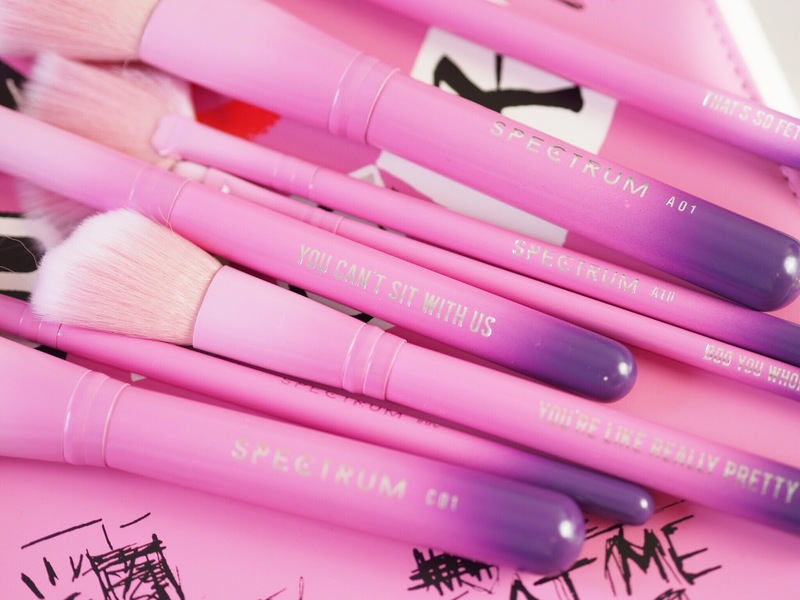 And as ever, the Spectrum brushes are cruelty free and vegan friendly. 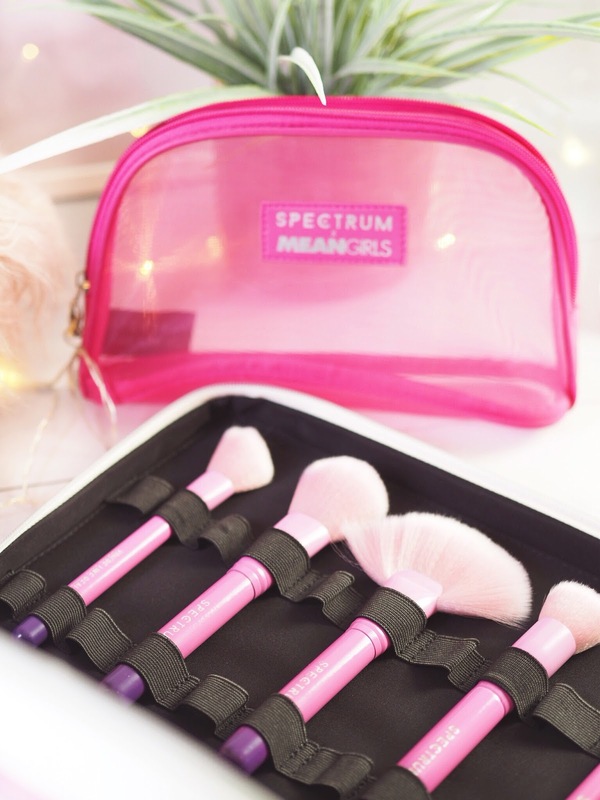 For make-up application, there aren’t many brushes that beat Spectrum, I find they apply well because the bristles are really soft and dense which is the perfect combination for professional looking make up that lasts through the day. After this the choice is yours – are you going for the gorgeous selection of bags, the lashes or the make-up holders? Personally, next on the list are the lashes because those have my name all over them. Here’s to keeping secrets out of the Burn Book, while working with it!